Ideal for history buffs, the archeological site of Coba in Mexico has a lot more to offer than just climbing up the 120 steps of the Ancient Pyramid. Being close to the infamous resorts of Cancun and Riviera Maya, Coba also offers long stretches of powder-white sands and turquoise waters to take a refreshing dip in or spend days subathing. 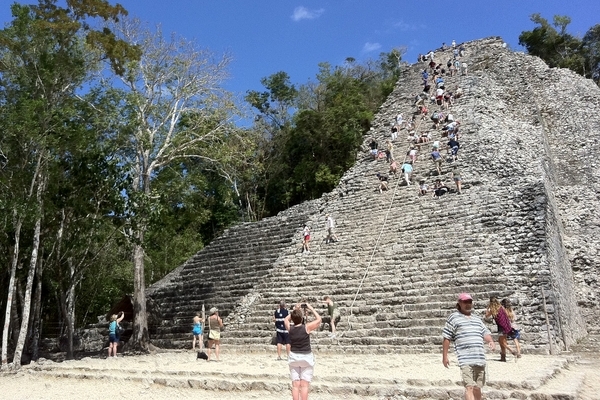 Coba holidays offer world-class scuba diving as well as eco parks, in addition to incredible Mayan Ruins and cenotes. Talk to Purple Travel now for cheap Coba holidays in Mexico and save money on flights, hotels and transfers.